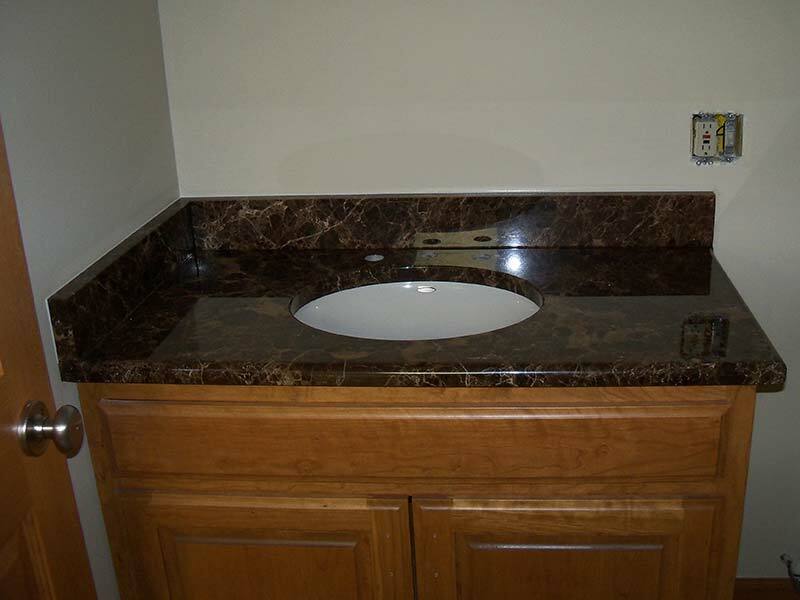 Emperador Dark Marble bathroom counter over medium toned bathroom vanity. 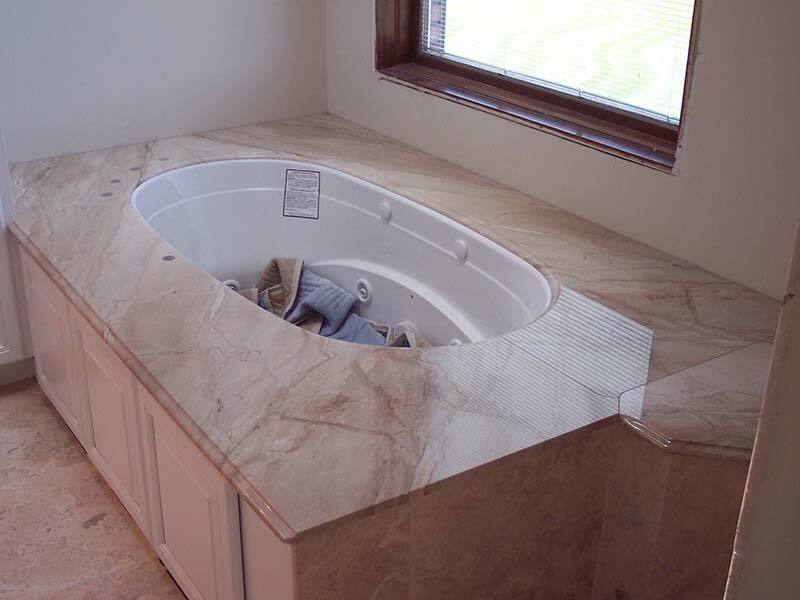 Emperador Dark Marble tub surround. 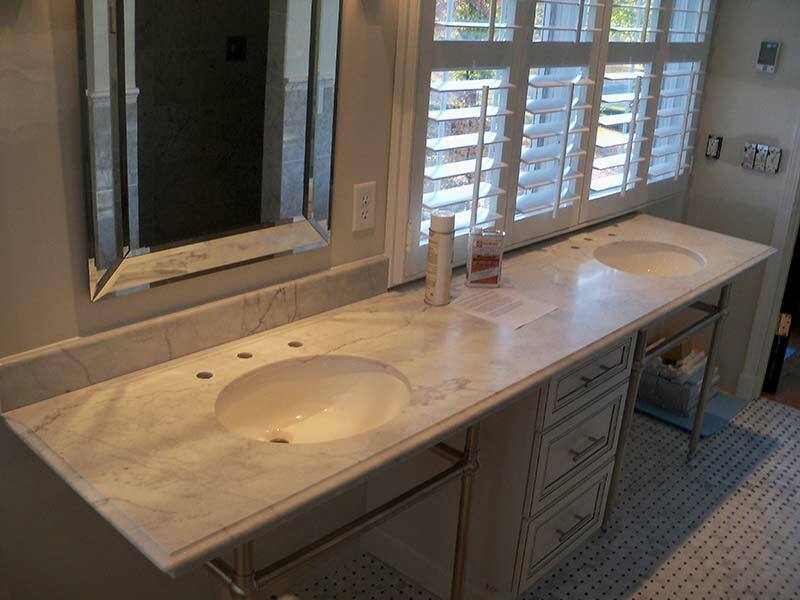 Italian White, or Carrara Marble bathroom counter looking very classical over a white columned vanity. 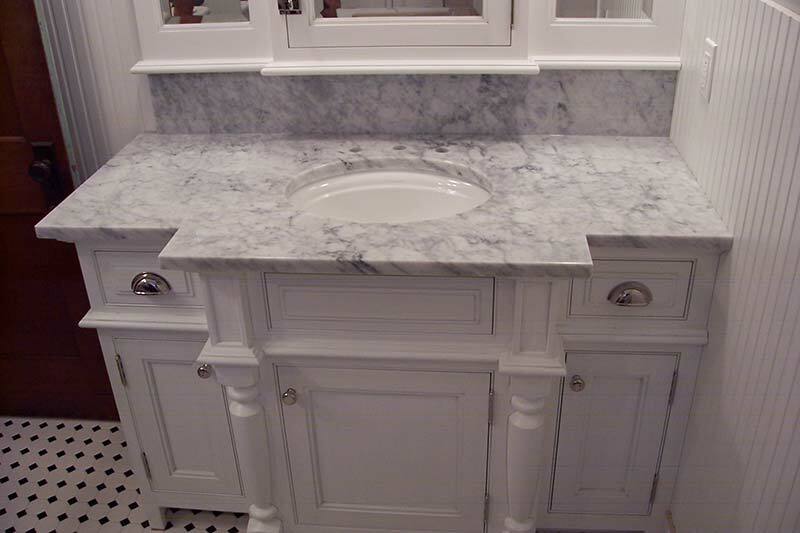 Honed Carrara Marble, also knows as Italian White Marble, over a dark wood vanity with double drop in porcelain sinks. 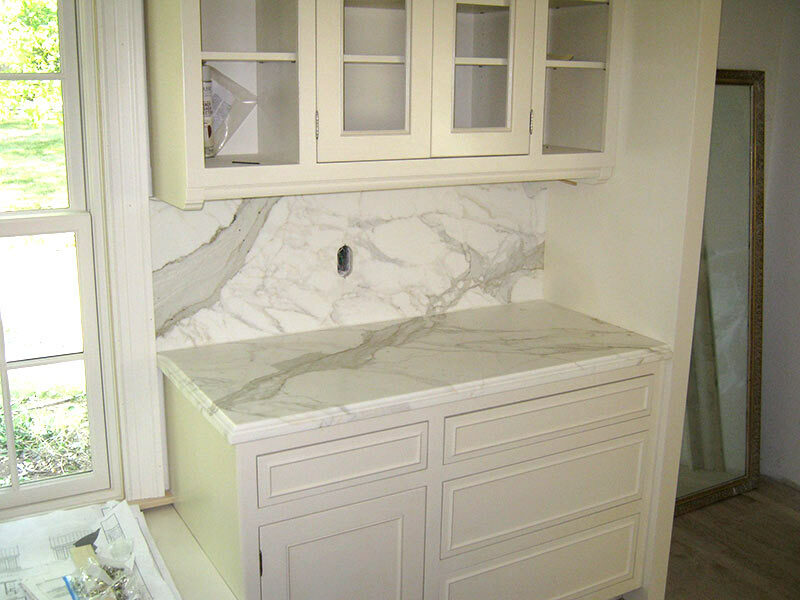 Bianco Carrara or Italian White Marble over white cabinets! 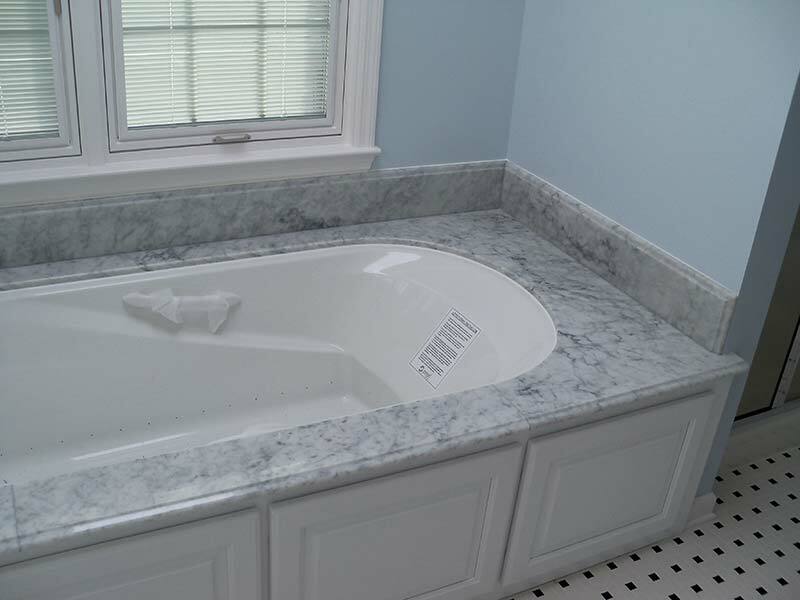 Italian White Marble tub deck over white cabinets contrasted by light blue bathroom walls. 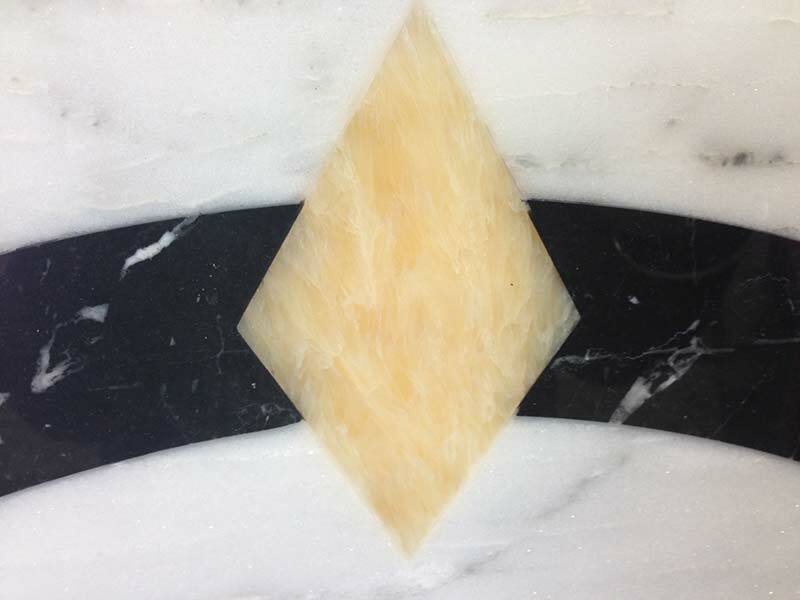 Multi-colored inlays in Carrera Marble. 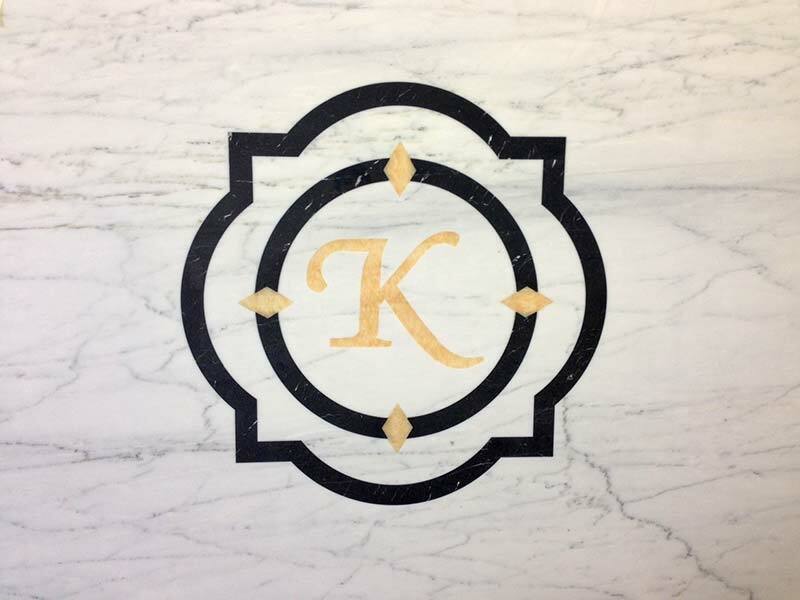 Bianco Carrera Marble with monogram inlay in gold and black. 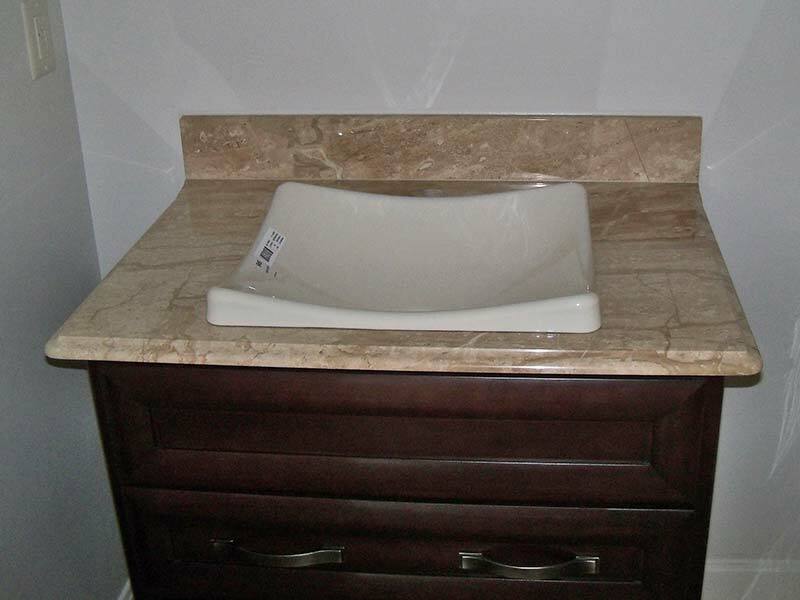 Daino Realle Marble bathroom counter with white cabinet. 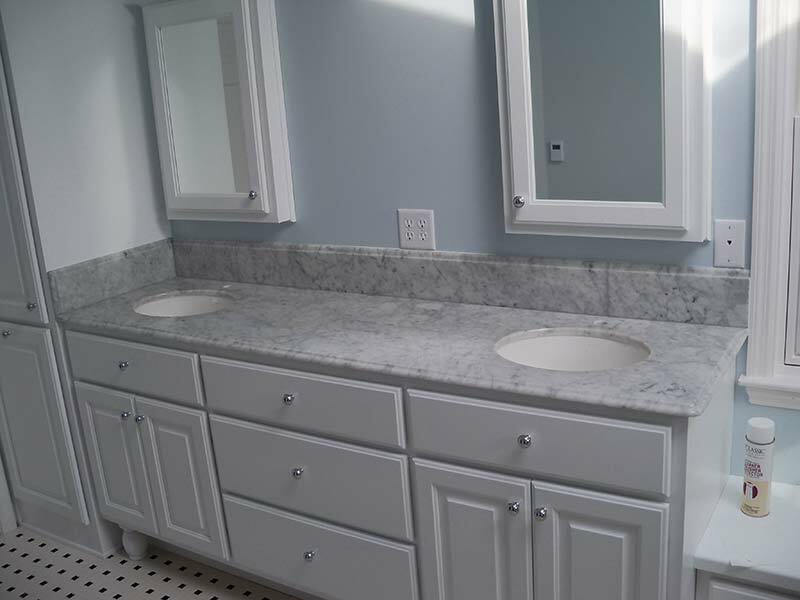 Daino Realle Marble bathroom counter with double sinks over black cabinets. 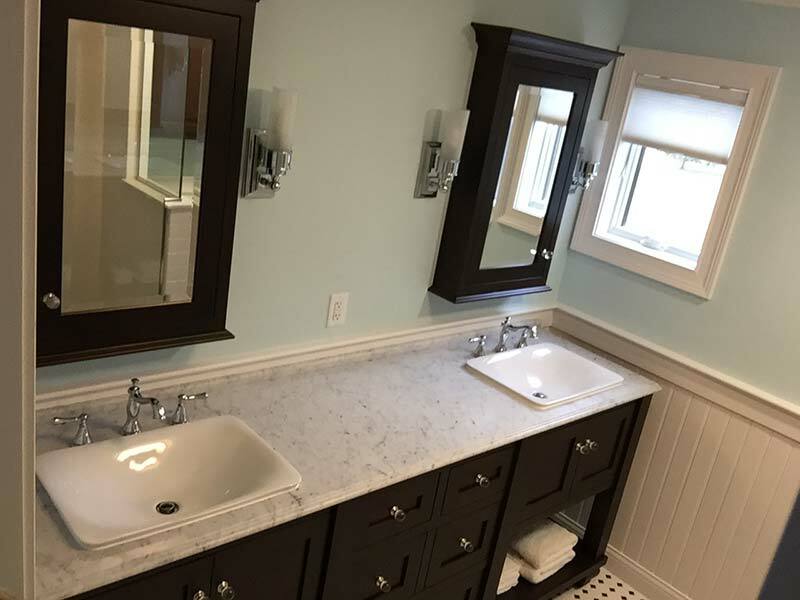 Daino Realle Marble bathroom counter with double sinks over light oak cabinets. 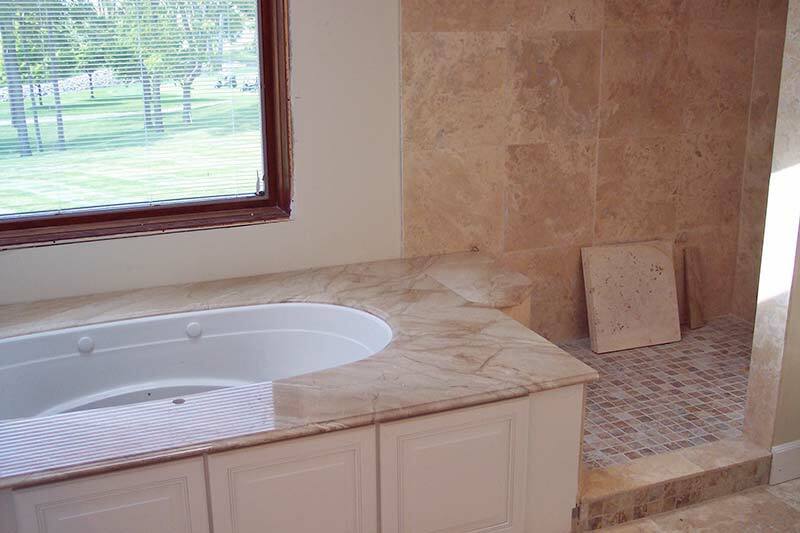 Daino Realle Marble tub and shower. 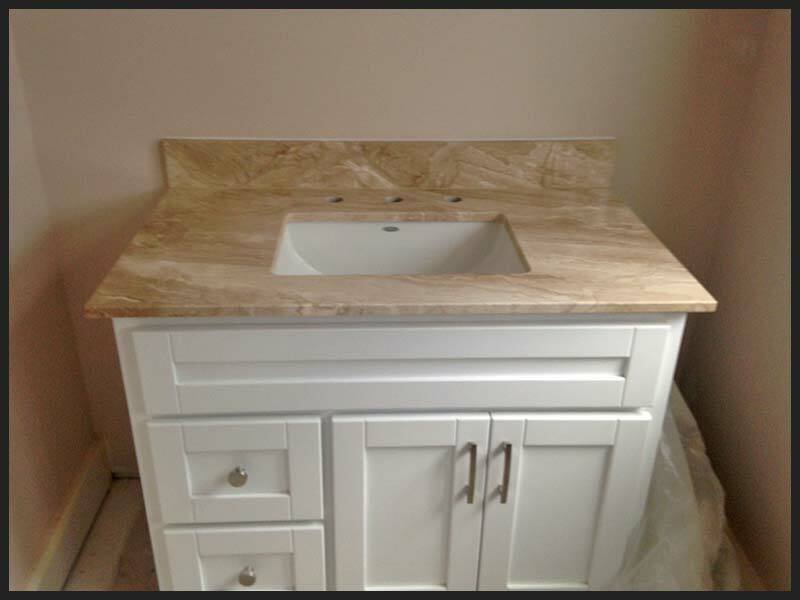 Italian White Marble with double sinks over white cabinets. 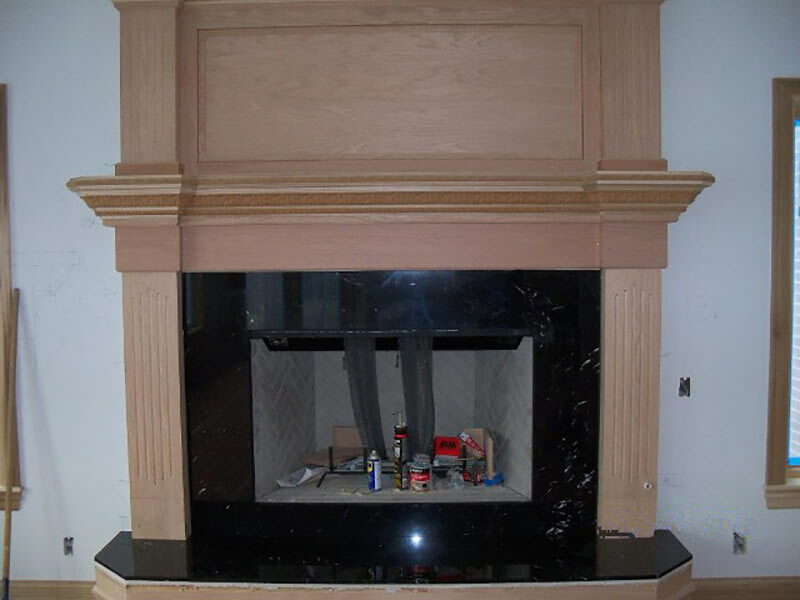 Black Marquina Marble fireplace surround and hearth. 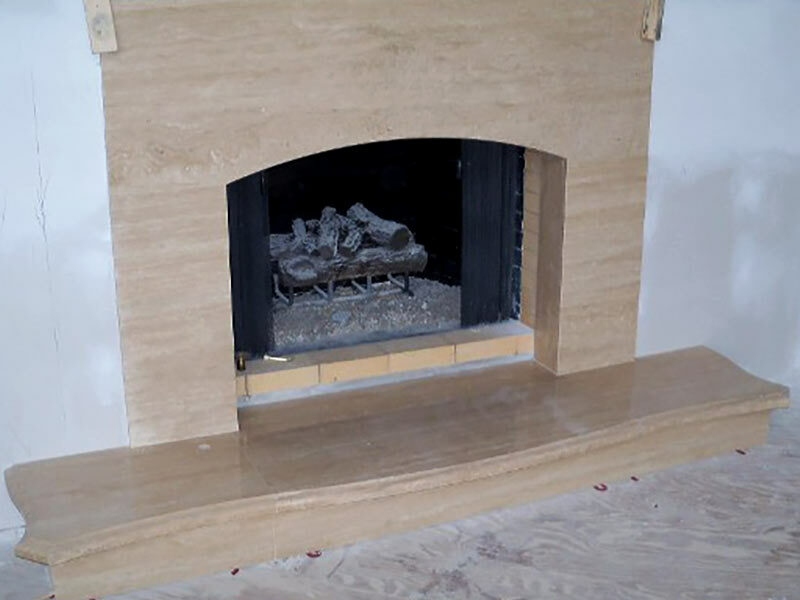 Roman Travertine fireplace surround and hearth. 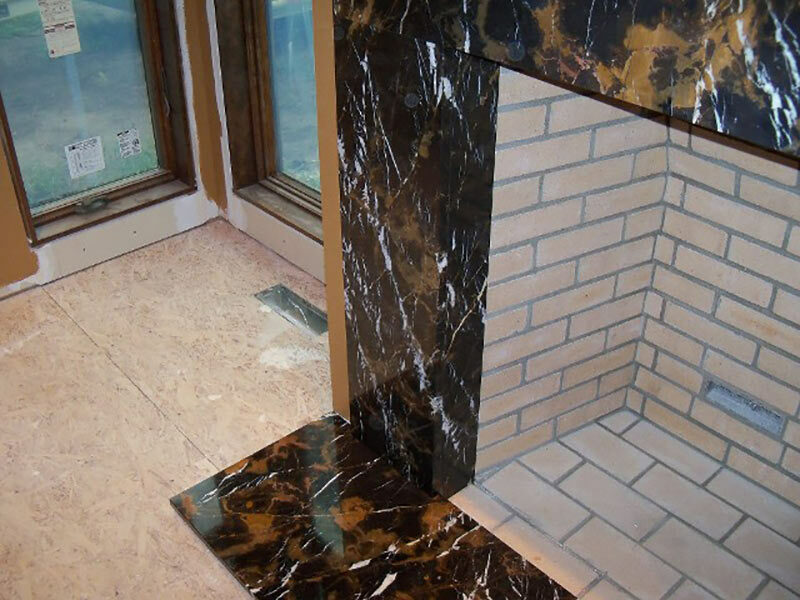 Michelangelo Marble fireplace surround and hearth. 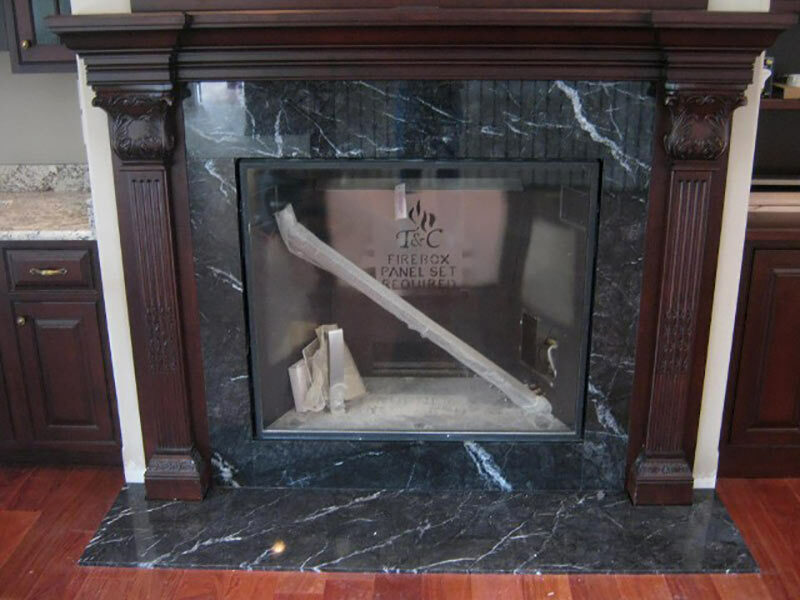 Grigio Carnico Marble fireplace surround and hearth.